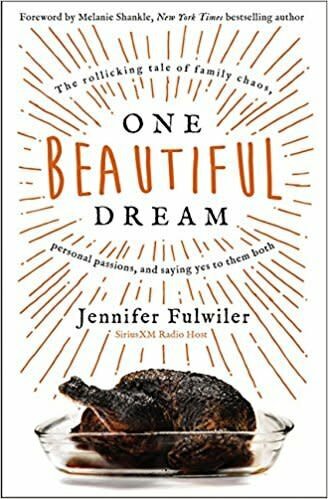 For those of us who have read Jennifer Fulwiler’s previous work, One Beautiful Dream has been long anticipated. Fulwiler sets herself apart yet again from her peers with humorous self-awareness and wit. Lest you think a working mother of 6 would fall into the tired pattern of writing about motherhood from a woe-is-me, holier-than-thou perspective, this is not that book. As her audience has come to expect, she tells it like it is, the good, bad and ugly. The basic premise of One Beautiful Dream is Fulwiler’s struggle to satisfy both her dream of a large family as well as fulfill her deep desire to write. Initially she pushes aside the pull to write, in the name of focusing solely on her family. Like many of us, she is afraid of putting on her efforts elsewhere, but as time goes on, she finds inspiration to take the time to write from friends, family and even the saints. The book is full of deeply funny situations involving her family, and it’s easy to see why the balance she seeks is not so easily achieved. As a working Catholic mother myself, I can relate to some of her situations and it was nice to find some camaraderie in reading it. Having a family vision, making family a part of your work, and taking care of your own needs (without the guilt) are some of the prominent and poignant topics in the book that readers in all seasons of life will enjoy. I found the book in its entirety to be inspirational and I plan on re-reading a few parts. I absolutely recommend giving this book a read, whether you have a family or are planning on one, this book offers solid insight regarding how best to balance it all.